Sao Paulo is the largest city in Brazil, and is world renowned for its nightlife and cultural scenes. It has a diversity of neighborhoods worth exploring, and there shouldn't be a dull moment during your time in the vibrant city. 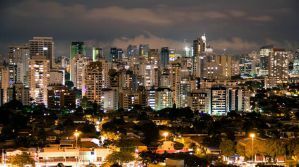 Although many tourists choose to bypass this city for more popular options, if you're looking for a good party, you can't go wrong with Sao Paulo. O de Casa is one of the few authentic travelers' hostels in Sao Paulo and their mission is to promote awesome experiences for all guests. The hostel is smart, simple, well-located, clean, and connected with a great bar where travelers and locals socialize. The hostel atmosphere is relaxed, spacious, alive, and cozy, and the well-informed staff can help you get the most from your stay in Sao Paulo. O Bar do Hostel is a great place to feel the social vibe of Sampa. Delicious Brazilian breakfast wakes you up every morning, available for an additional fee, and caipirinhas color up the nights when it becomes a hangout for travelers and locals. Free city maps, Wi-Fi, and linens are included and towels are available for hire. The bee.w hostel was created to bring a unique experience to its guests. They combine a low cost stay, comfort, design, sustainability, and a fun environment especially in the already famous bee.w bar, located right at the front door. The property is set in a strategic location, in the heart of the financial and cultural center of Sao Paulo. 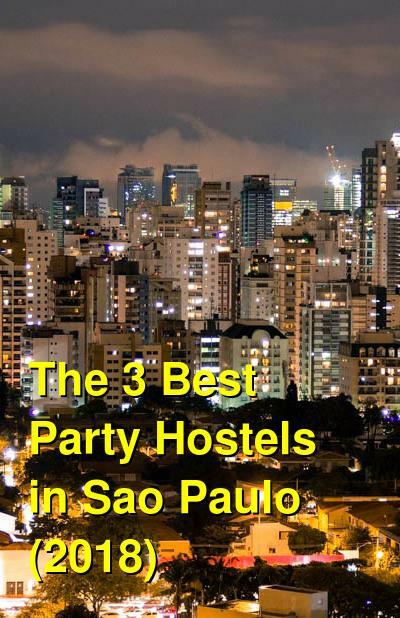 This is the only hostel two squares away from the Paulista Avenue, next to two main metro stations, and at a walking distance from the main sights of the city. Located in a green and calm area, but in the center of the best and most prestigious nightlife of Sao Paulo, you're sure to have a fun and comfortable stay. They have five shared rooms, all with a unique and original design. All beds are equipped with individual lights, top quality mattress, and individual lockers as well as an air conditioning system. The individual rooms (equipped with TVs) are available for couples and friends that are looking for privacy in a fun hostel environment. The shared kitchen is set with all the equipment and infrastructure needed to support a longer stay and there is also a BBQ area available. The rooftop was designed to be the perfect place to meet people and relax, with plenty of green area, tables, couches, and even a Jacuzzi to enjoy a sunny day. The bee.w bar offers cool beer, fancy chupitos, and caipirinhas and a perfect menu to share with friends. Free breakfast and linens are included and towels and bicycles are available for hire. Okupe Hostel is located in the best area of Sao Paulo, between the famous Paulista Ave, Pinheiros neighborhood -known for the best restaurants in town- and the bohemian Vila Madalena. For those who love to go shopping, we are beside Oscar Freite st, one of the most elegant shopping spots in Brazil. If you want to enjoy the city by public transportation, the property is only 15 minutes away from the metro and right in front of a bus stop where there are buses that take you everywhere in town. Okupe recognizes the diversity of cultures, beliefs, and personalities that Sao Paulo has, and they make it a point to welcome people of all kinds, from the crazy backpackers, that want to enjoy the city as much as they can, to guests that come to study or work at the city and need a good night sleep. Okupe's mission is to promote the interaction between these two kinds of people. The hostel offers amenities including: a kitchen, many bathrooms, a TV room with games, shared and private rooms, a rooftop with hammocks, and an on-site bar. The hostel also provides free Wi-Fi, bed sheets, cable TV, daily cleaning, towel rental, bike rental, and transfer and laundry services at an additional fee. They also promote parties and activities with snacks, live bands, and more.